Home » Uncategorized » I AM VERY, VERY HAPPY TODAY! I AM VERY, VERY HAPPY TODAY! 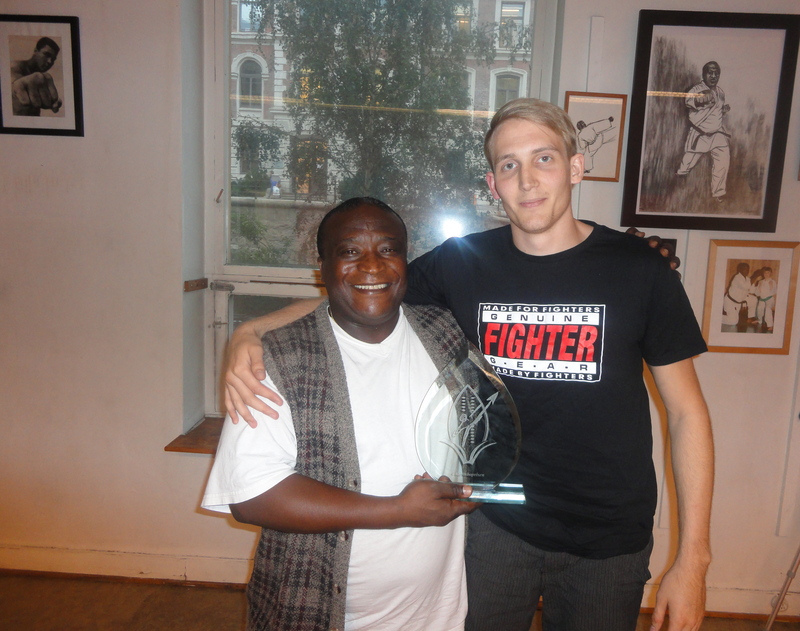 Wednesday, August 22, 2012 I followed and observed with wonder the smooth and methodical manner in which Daniel led the process leading to the formal constitution of Vika Karateklubb. The new organization is the outcome of the necessary re-organization of my first ever Karate club in Norway, as I now am semi-retired from active Karate teaching. I first taught Karate in Oslo October 1988. Parallel to the mass recruitment Nesodden Karateklubb, which came to being in March 1989, the Oslo group I deliberately ran on a more exclusive private basis all the years. To insure the clubs continued long-term existence it was imperative to re-structure so as to be part of the mainstream with membership in the Norwegian Martial Arts Federation, like Nesodden KK. With Daniel as the Chief Instructor of the new club, it is ever so gratifying and humbling to see yet another one of my Super Star Karate Kids carrying the flame ahead at such a high level of responsibility and competency. Daniel has not only showed exceptional training and administrative leadership qualities, he is full of wonderful surprises too. 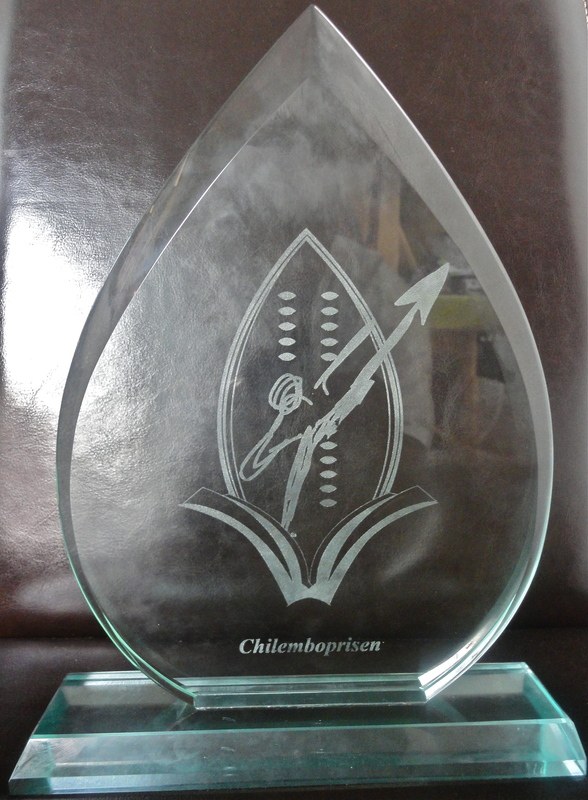 I was moved to tears as he announced a new annual personal recognition award: CHILEMBO-PRISEN. The award is so named in recognition, according to the presentation, of the formidable work I have done for Norwegian Karate for many years. It further says that I’ve stood as a pillar at the centre of Nesodden KK, as well the group that is now Vika KK. Mention is made of my being a winner type, and the club shall remember me through the award, which will annually be passed on to a person who’ll have excelled in training or his/ her role in the club the previous year. I am the first recipient of the award. When Daniel mentioned yet another most special award, MARIA CHILEMBOS HEDERSTEGN/ MARIA CHILEMBO MERITORIOUS HONOR AWARD, the nail was effectively put in the coffin. The latter, and all that goes with it, will be set in motion in 2013. Recipients from year to year will have served the club on a voluntary basis for a period of at least 15 years. The award is dedicated to my dear mother in South Africa. I couldn’t have celebrated better the 24th anniversary of my stay in Norway today, Thursday, August 23, 2012. By Simon Chilembo in Uncategorized on August 23, 2012 .